No pair of shoes that you buy would be perfect. Some shoe companies realize that, and always attempt to improve on what they have. Some prefer to rest on their laurels. To each their own, one would suppose, but the companies that yearn for improvement do generally tend to find favour with their regular users as well as potential buyers. Shoemakers such as Nike, rely a lot on sports to improve the shoes that you and I may buy for our daily walking, running or sportswear requirements. According to the latest numbers by research firm Statista, Nike the most valuable global apparel brand, with a brand value of 28 billion U.S. dollars—followed by H&M ($18.95 billion), Zara ($17.45 billion) and Adidas far behind in fourth place at $14.29 billion. Not much after the Nike Air Zoom Pegasus 35 (around Rs8,797), we have the new Nike Air Zoom Pegasus Turbo to experience—and is priced at Rs15,995. The Pegasus line-up from Nike has always been about comfort as a daily trainer and a long-distance runner—the addition of the “Turbo” moniker to the name adds potentially more seriousness and speed to the entire prospect. The journey of the Air Zoom Pegasus Turbo began way back in December 2016, when Nike announced the Breaking2 project. Nike was attempting to break the 2-hour barrier for marathon runs, which meant beating the then current men’s world record time of 2:02:57 by as much as 3%. For this, Nike looked at a variety of aspects in a running shoe, including design, materials, engineering, feedback and aerodynamics to name a few, trying to improve the smallest of elements as a process. In May last year, the Breaking2 project came close to what it wanted to achieve. Kenyan runner Eliud Kipchoge finished an event at the Autodromo Nazionale Monza race track in Italy, clocking 2:00:25 minutes for completion. Even though this is not the official time International Association of Athletics Federations (IAAF) has on records, this journey did get Nike very close to its 2 hour barrier. But more importantly, it still defines many Nike running shoes even today—the Air Zoom Pegasus Turbo included. For starters, the hybrid design resemblance with the rest of the Pegasus and the Zoom family of shoes (such as the Zoom Fly from last year) is quite clear. 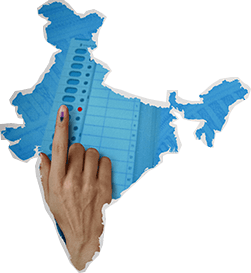 You know its lineage, and that perhaps sets your mind at ease even before you slip your foot in. The Air Zoom Pegasus Turbo is a looker too, and will get some attention when you are out and about with it. The colour combination include the darker personality which is the Black/Oil Grey/Gunsmoke/Vast Grey colourway, the brighter and our favorite Blackened Blue/Flash Crimson/Black/Orange Peel and the very understated Sail/Light Bone/Blue Void/Blue Hero colourway. There is a stripe running down the middle of the shoe, which is one of its many strong visual elements. 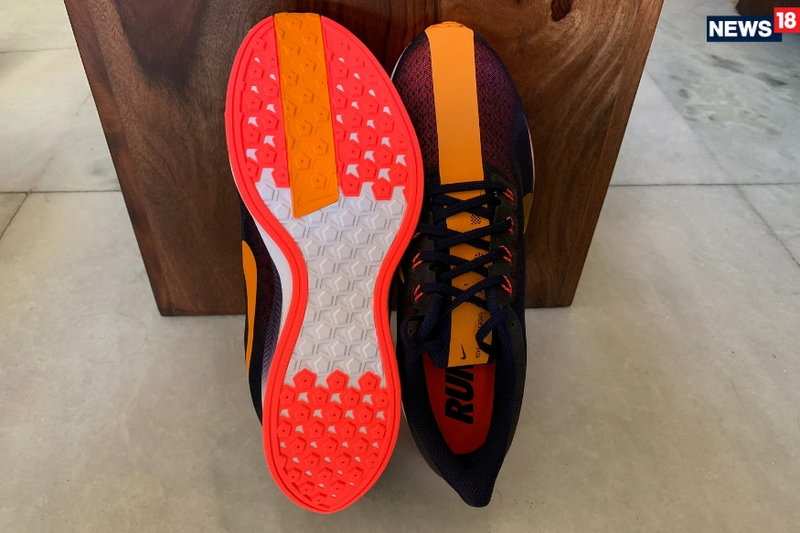 Speaking of which, look at the Air Zoom Pegasus Turbo from side on, and you will notice the shape of the sole unit. The midsole that consists of the ZoomX foam, along with the outsole, has a tail-esque extension. This is more of a visual element than really changing anything with the way your foot lands or how quickly you can lift off. The ZoomX foam is made from what Nike says is the PEBA foam, and not the standard EVA foam lining that is common in running shoes. Puma also uses PEBA foam in some of its running shoes. PEBA is a closed cell foam with a cross-linked architecture, and is based on a thermoplastic elastomer (TPE). Slip your foot into the Air Zoom Pegasus Turbo, and it is hard to miss the highlight changes. This has a wide and roomy toe box, which should be comfortable for anyone who doesn’t find narrow body shoes comfortable. 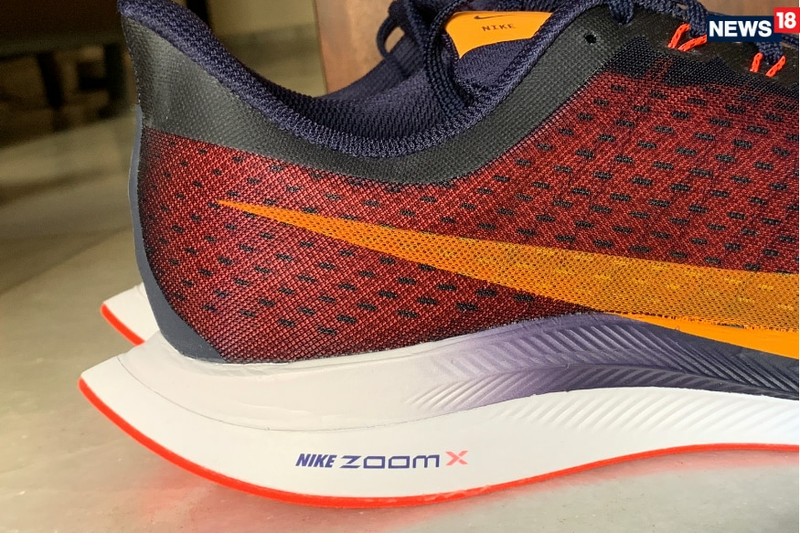 Secondly, the ZoomX foam feels incredibly lightweight and matches the Epic React foam—the Air Zoom Pegasus Turbo weighs 238 grams while the Epic React Flyknit (around Rs15,995) weighs 239 grams. There are Flywire cables running along the sides, which helps keep the foot stable once you are laced up and ready for action. Considering this is a roomier shoe than most, you might need to lace up a tad more securely to prevent that slight foot roll inside the shoe. Where the ZoomX differs from the React foam is in terms of the responsiveness. While the latter is more tuned towards a very supple response, the former offers a bit more in terms of bounce-back. This is also because the Air Zoom Pegasus Turbo is tuned more for running, and the periodical energy response from the foam beneath your foot helps with the launch and subsequent toe-to-heel and heel-to-toe transitions. What also helps with responsiveness is that the Air Zoom Pegasus Turbo has a two-part mid-sole foam, and not a single full-length Zoom Air bag like the Pegasus 35. There really is no “break-in” period with the Air Zoom Pegasus Turbo. 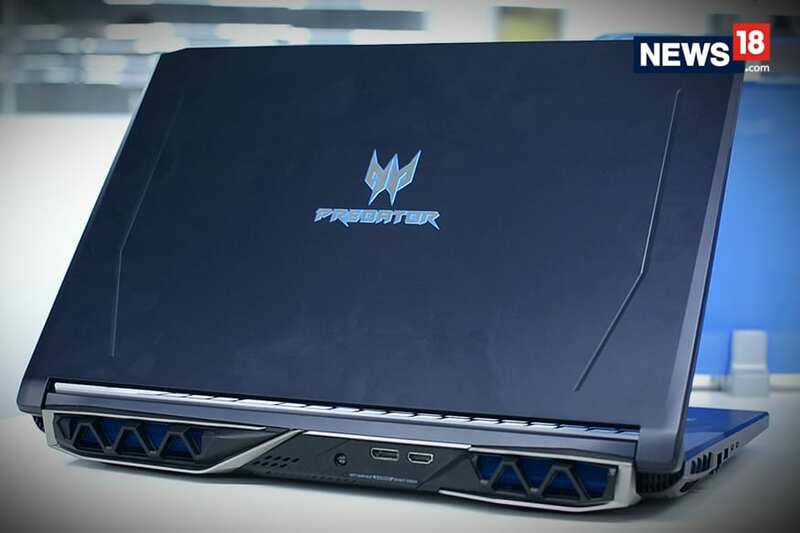 It feels the same in the first minute as it does after some amount of usage on various types of surfaces. This is good to go from the outset, and that is perhaps very valuable for runners. The shoe has a 10mm offset, which is pretty much the standard with most running shoes. The upper of the Nike Air Zoom Pegasus Turbo is actually a two layer construction. On the inside, and snugging your foot, is the very breathable fabric. Above that fabric, and what you touch from the outside, is a very fine mesh. Then there is the large racing stripe running the length of the shoe. The stripe is perhaps the most visible in the orange colourway option. That said, it is easy to get fine dust lodged between the mesh and the fabric, particularly if you run on fine sand. Over the past year, Nike has released some running shoes that have reset the benchmarks in their respective categories. The Zoom Fly and the Epic React Flyknit are two that spring to mind immediately. The Air Zoom Pegasus Turbo actually doesn’t try to redesign the wheel, but learns from its elder siblings, trying to meld the best of each—it is a bit of the Epic React, a bit of the Zoom Fly and a bit of the Pegasus all along. 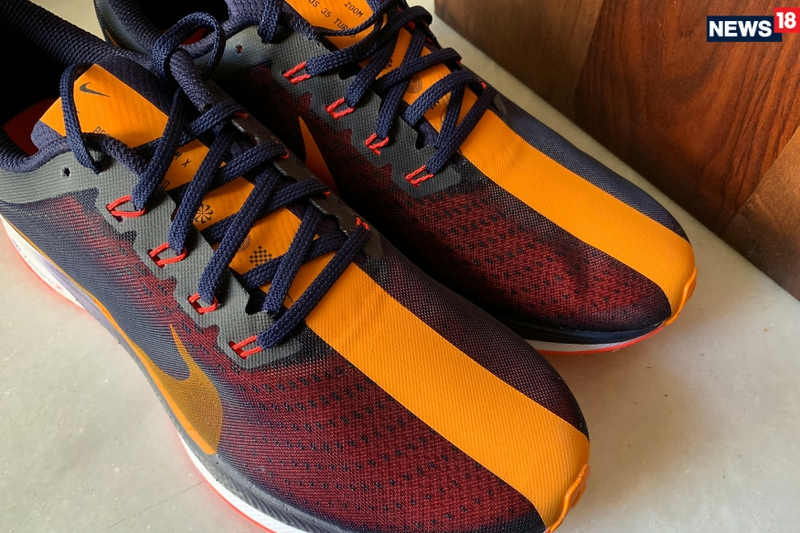 Mostly, it has been a successful exercise—the asthetics, the ZoomX foam, the roomy construction and the improved Flywire implementation all combine to make this a great alternative to the very elusive Nike VaporFly 4% shoes, and they are worth that little extra you pay over the Air Zoom Pegasus 35, for instance. This is a shoe that is designed for up-tempo runs, and doesn’t try to play a futile balancing act between that and easy runs.